There are a number of habits that pose a threat to a healthy vision. 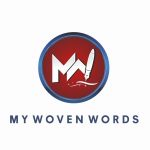 Today My Woven Words shares 8 of the most common habits that damage eyesight. This, especially when done forcefully or vigorously, can break the tiny blood vessels under the skin’s surface causing dark circles, puffy eyes or drooping eyelids. Using your hand to rub your eyes when you feel something in your eye can also scratch and permanently damage the cornea. In addition, if your eyes are itchy rubbing them tends to release more of the allergens responsible for the itch, making the itch feel worse. This can prematurely age and damage your eyes and eyelids. To avoid this, it is advisable to wear a good pair of sunglasses to block these rays. Sunglasses help to minimize the effect of bright lights which include headaches, blurred vision, or red eyes, and prevent you from excessive squinting which can lead to eyestrain and pain. Eat less fast food meals and more foods, fruits and vegetables like carrots, leafy greens, fish etc. that are good for the eyes. They will help provide the necessary vitamins, minerals and essential fatty acids for optimum eye health. Not drinking enough water daily, alongside eating a high-sodium diet can cause dehydration which eventually causes the eyes not to produce enough tears to keep the eyes moist and properly nourished. This in turn leads to dry eyes, redness and puffy eyelids. Straining your eyes to read tiny texts either in a book or on your phone can make your eyes start to hurt, especially if you do it for long hours. It can lead to blurred vision, dry eyes, dizziness and nausea. Try to avoid reading tiny fonts, but if you must do so take breaks in between reads to give your eyes a break. You should be careful in your application of eye products like mascara, eyeliner, eye shadow, and eye creams. Try to apply the makeup far away from your lash line so you don’t block the oil glands of your lids because buildups here can cause infections. Also, you should change your eye makeup after every three months because after this time, especially if not stored in a cool place, they can become breeding ground for bacteria. A lack of sleep eventually hurts your eyes. Sleep deprivations causes symptoms like twitching, dry eyes, blurry vision and pain in the eyes. Try to get a minimum of seven to eight hours of sleep each night to help maintain a healthy vision.